Green tea on the market can vary greatly in quality. Freedom Superfoods are shaking things up offering not only the best in premium Organic Japanese Green Tea Powder but are also doing it at a reduced price. Florida, United States - February 19, 2019 /MarketersMedia/ — Natural health enthusiasts agree, green tea is not just a drink with a quite delicious flavor, in most opinions, but the tea can also deliver diverse health benefits. The key is using traditional Organic Japanese Matcha Green Tea Powder that is not just sourced and harvested properly but also packaged with extreme care and forethought. 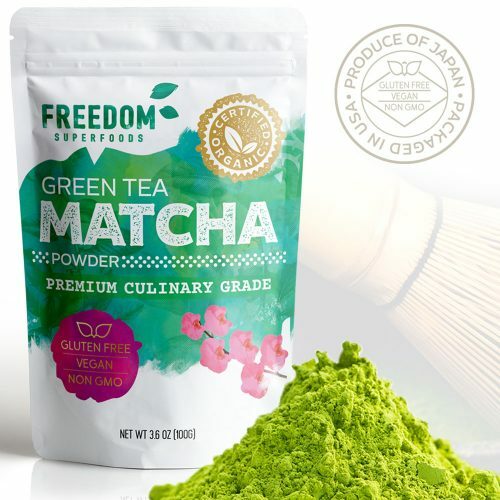 Freedom Superfoods, a well-respected organic food company, is delivering their Premium Organic Japanese Matcha Green Tea Powder that is held to the highest standards of the industry to shoppers both at their online store and at the Amazon.com marketplace. In exciting news, intended to encourage new and old customers alike to get their Matcha fix while saving a few extra dollars, the company is offering the organic powder at a 20% discount for a limited-time-only. The powder itself produces a pure jade green tea that is as attractive as it is a joy to drink. Many are picking it up as a more-safe alternative to coffee. Coffee contains a level of caffeine that doesn't agree with many making it harder to stay calm and focused during the day or cutting into their ability to have a restful sleep at night. With Freedom Superfoods Organic Matcha Japanese Green Tea these problems will be a thing of the past. Freedom Superfoods is giving away a special 20% off Amazon discount coupon code to try their Premium Matcha Green Tea Powder. This way more people can experience this amazing product at the lowest possible price.